Apostle invents best-in-class technologies to work with circulating free DNA (cfDNA) , a key element in liquid biopsy. Since Feb 2019, Apostle has entered a partnership with Beckman Coulter Life Sciences to provide access to our innovative cfDNA isolation products globally. Circulating free DNA (cfDNA) are degraded DNA fragments released to the blood plasma after diseased or normal cells die. cfDNA can be used to describe various forms of DNA freely circulating the bloodstream, including circulating tumor DNA (ctDNA) and cell-free fetal DNA (cffDNA), and therefore, has become a biomarker for cancer and fetal medicine. In addition, it can be used for a wide range of conditions, including sepsis, aseptic inflammation, transplantation, etc. A liquid biopsy is the sampling and analysis of non-solid biological tissue, primarily blood, often utilizing cfDNA as a biomarker. A liquid biopsy has unleashed the potential to track and monitor important diseases, such as cancer, in a non-invasive and more effective manner. cfDNA is present in very small amounts in the blood plasma. 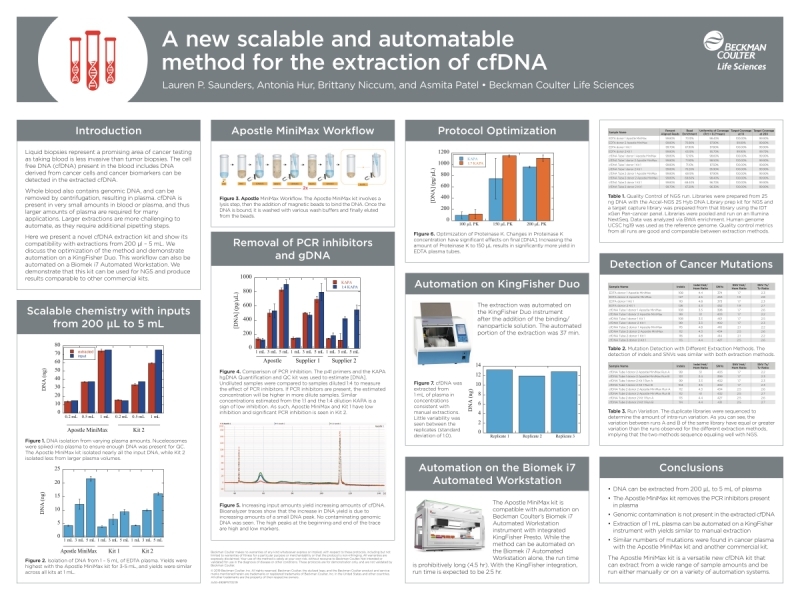 Apostle develops a best-in-class technique, Apostle MiniMaxTM, to efficiently capture this cfDNA from a standard blood draw, as well as other innovations in the space of liquid biopsy. We aim to improve the efficiency and accuracy of liquid biopsy, and consequently, improve the survival rate of patients. Apostle Inc is pleased to receive the Certificates of Conformance to certify that Quality Management System of Apostle Inc. 1455 Adams Dr. Menlo Park, CA 94025, USA has been assessed by ABS Quality Evaluations, Inc. and found to be in conformance with the requirements set forth by: ISO13485:2016, and ISO9001:2015. The Quality Management System is applicable to DEVELOPMENT, MANUFACTURING, LICENSING AND SALES OF CONSUMABLES AND CHEMICALS FOR NUCLEIC ACID RESEARCH. 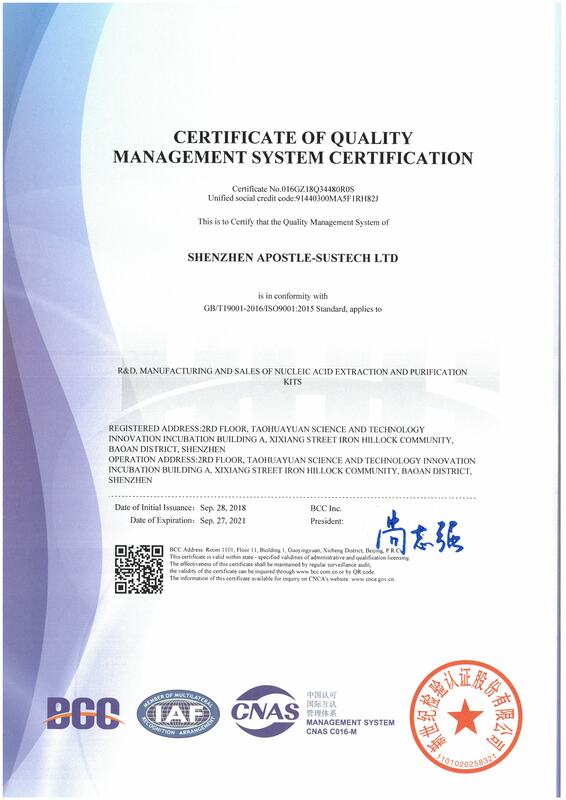 Apostle Inc is pleased to have been awarded ISO 13485 certification for our Nucleic Acid Extraction or Purification Reagents of Research and Development, Production, and Sales in our manufacturing facility located in Shenzhen, China. This certificate demonstrates our commitment to providing a high-quality and consistent service to our clients and our ongoing investment in technology, development, processes and procedures. Beckman Coulter Life Sciences announces an exclusive partnership with Apostle, a liquid biopsy company, on Feb 28, 2019. Apostle MiniMaxTM technology is independently validated and the findings are presented at the Advances in Genome Biology and Technology (AGBT) 2019 meeting in Marco Island, FL. Apostle MiniMaxTM is efficient, clean, scalable, automatable, versatile, and novel. * A new Scalable and automatable method for the extration of cfDNA. Saunders LP, Hur A, Niccum B, and Patel A. Advances in Genome Biology and Technology (AGBT). Feb 28, 2019 Marco Island, FL. (Conference abstract, #419). Download. 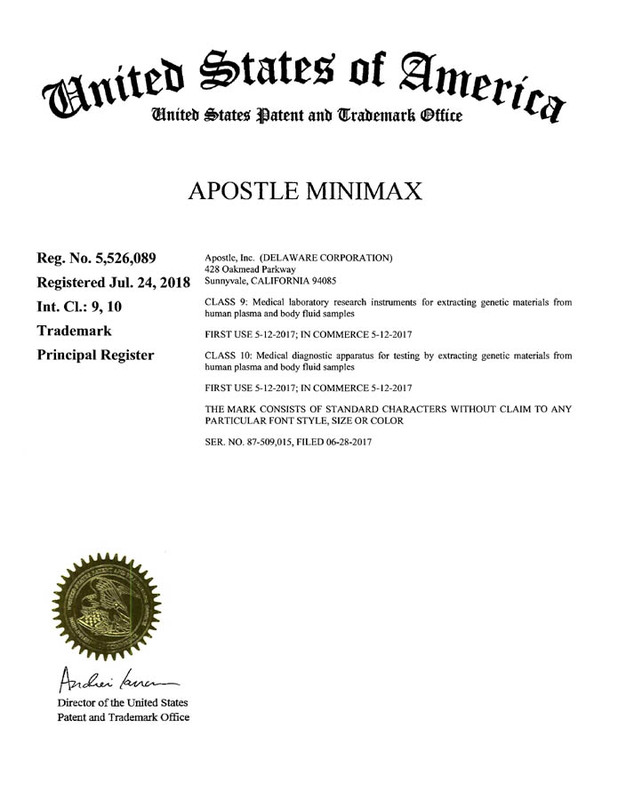 Apostle Inc is pleased to receive the trademark registration certificates for APOSTLE and APOSTLE MINIMAX from the United States Patent and Trademark Office on Nov 21, 2018. 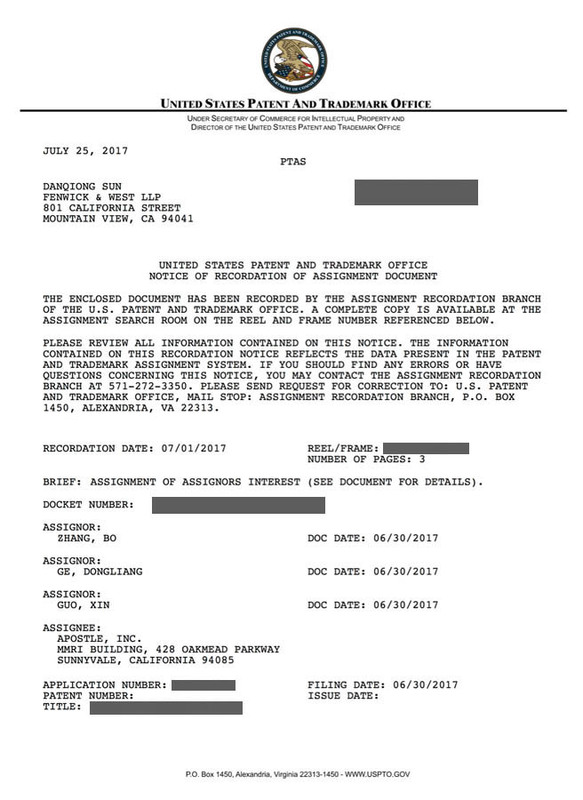 The registration dates for both trademarks are July 24, 2018. 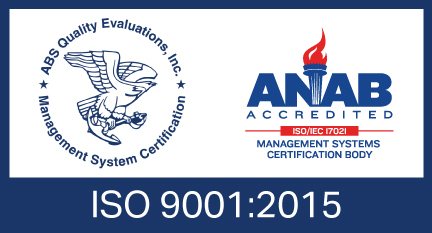 Apostle Inc is pleased to have been awarded ISO 9001 certification for our R&D, Manufacturing and Sales of Nucleic Acid Extraction and Purification Kits in our manufacturing facility located in Shenzhen, China. This certificate demonstrates our commitment to providing a high-quality and consistent service to our clients and our ongoing investment in technology, development, processes and procedures. StartX is a renowned educational non-profit that accelerates the development of Stanford's top entrepreneurs through experiential education and collective intelligence. The Stanford-StartX Fund (SSF), co-founded by StartX, Stanford University, and Stanford Health Care is available only to StartX companies with a Stanford-affiliated founder. StartX alumni and trusted expert judges review and determine which teams are accepted. The acceptance rate has been between 8%-10%. Apostle is selected into the StartX Accelerator Program (Summer 2018 session), following one initial review, four interviews and due diligence. Apostle Inc is selected into the Top 20 Life Science Startups to Watch in 2018 by BioSpace on January 2, 2018. 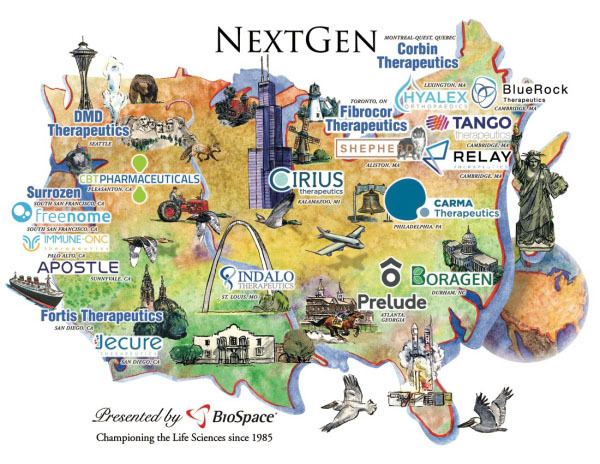 The NextGen Bio Class of 2018 is "a list of 20 up-and-coming life science companies in North America that started up no earlier than 2015, a stellar group of companies that are already making an enormous impact on the industry now and will into the future." 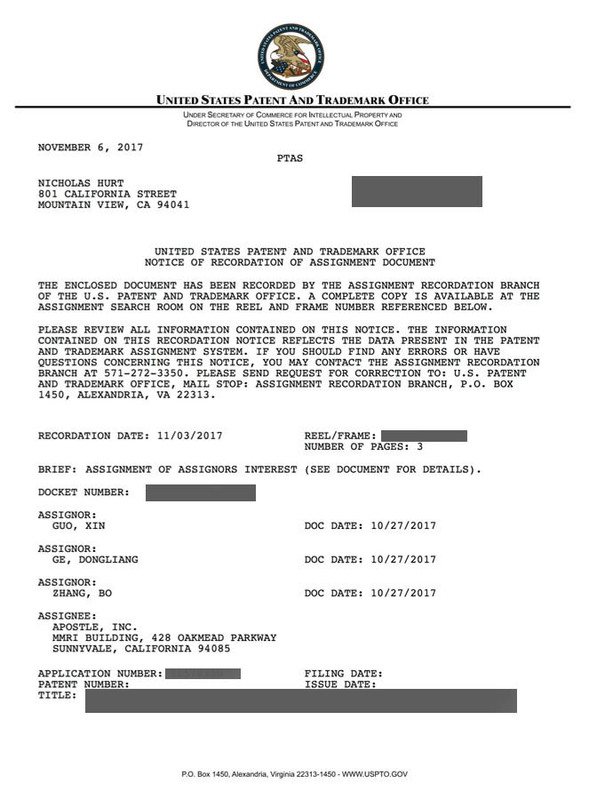 Apostle Inc is pleased to submit its PCT patent application to the U.S. patent and trademark office on Nov 3, 2017. 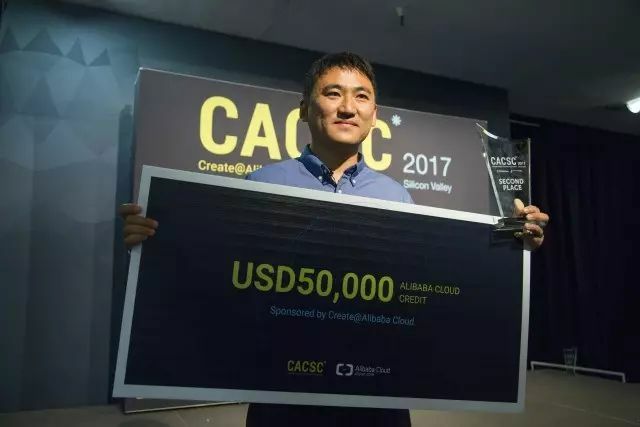 Apostle won the Second Place in the Final of North America Region, CACSC，(Create@AlibabaCloud Startup Contest). Over 300 startups from North America have competed in CACSC, and 13 entered the final. 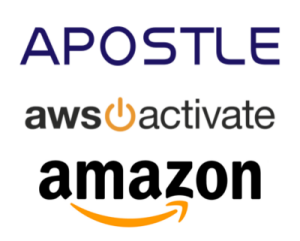 Apostle Inc is selected into the Amazon Web Service (AWS) Activate Program.The AWS Activate Program is designed for startups in select accelerators, incubators, Seed/VC Funds, and other startup-enabling organizations. Some of the world’s hottest startups, including Airbnb, Slack, and Robinhood, have leveraged the power of AWS to quickly scale. 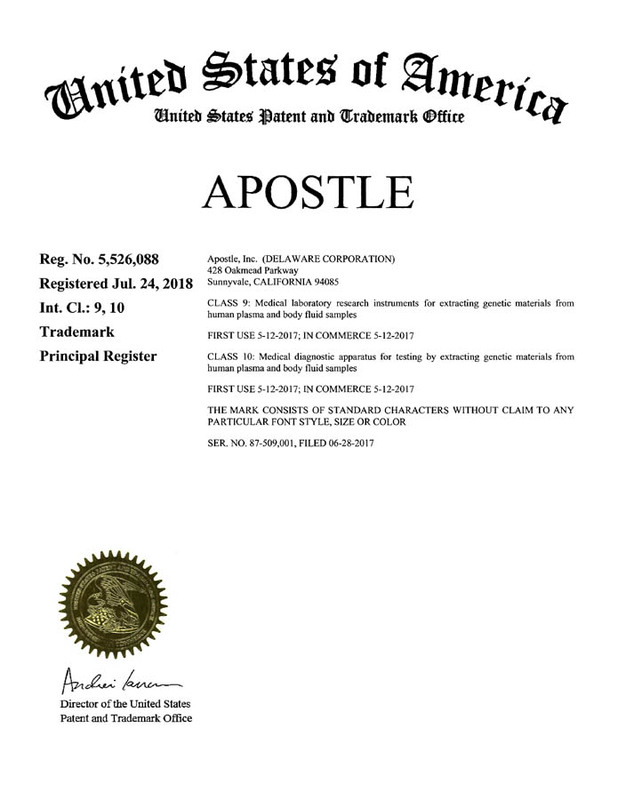 Apostle Inc is pleased to submit its first PCT patent application to the U.S. patent and trademark office on July 25, 2017. Forbes China named Apostle Inc’s co-Founder and VP of Chemistry, Bo Zhang, PhD, as one of the most brilliant young entrepreneurs in its annual “30 Under 30 China” list in the category of healthcare and science. 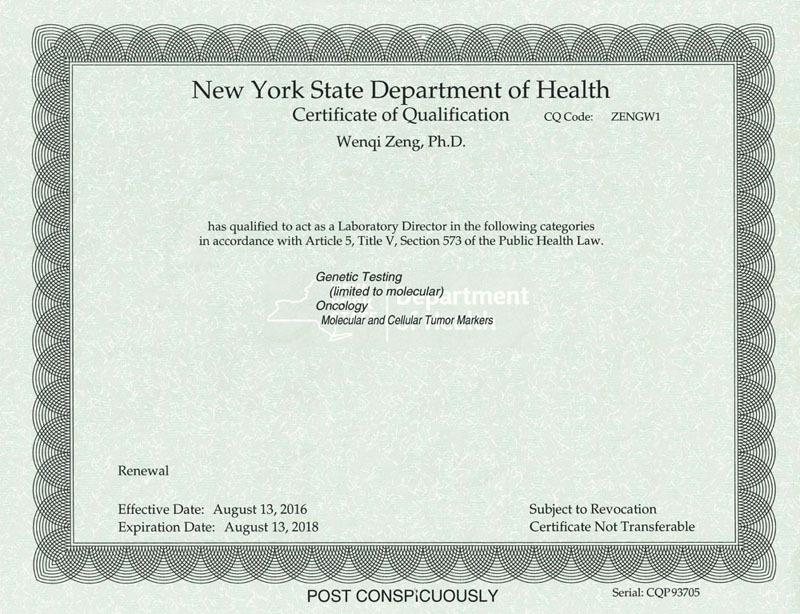 Apostle Inc’s co-Founder and SVP of Medicine, Wenqi Zeng, MD PhD is a board-certified clinical molecular geneticist and lab director holding certificates and licenses from American Board of Medical Genetics and Genomics (ABMGG), State of California, State of New York, and diploma from American College of Medical Genetics (ACMG), and Harvard Medical School Genetics Training Program. Apostle partners with Beckman Coulter Life Sciences to provide access to our innovative nucleic acid isolation products to customers around the globe. U.S. Citizen through federal "Outstanding Professors and Researchers"
Co-authored 70+ peer-reviewed papers, 5 in Nature and 1 in Science, over 16,000 citations. Led multiple publications in AI, including in PNAS. Senior Application Scientist, Beckman Coulter, an American company that develops, manufactures and markets products for complex biomedical testing in both diagnostics and life sciences laboratories . Professor of Medicine, Duke University Medical Center, Associate Director at Duke Clinical Research Institute and Co-Director of the Duke Clinical and Translational Science Award. Medicine and surgery degrees, University of Melbourne in Australia. Residency and fellowship, the Royal Melbourne Hospital. Member, the Royal Australasian College of Physicians. Dr. Ge is CEO & President of Apostle. He has held leadership roles and management experience in both U.S. and China companies. Previously, he was President of BioSciKin Co. and Simcere Diagnostics Co., two global biotechnology companies headquartered in Nanjing, China focusing on the licensing and sales of diagnostic technologies. Between 2011 and 2016, he was Director of Bioinformatics at Gilead Sciences, where he founded the bioinformatics group and provided the strategic input to the bioinformatics infrastructure and process. At Gilead, Dr. Ge and his group led the phylogenomic analytical support for the critical regulatory approval of Sovaldi®, a world-leading anti-HCV drug. In 2014 and 2015, Dr. Ge was invited to be a member of the U.S. National Human Genome Research Institute Special Emphasis Panel. Prior to Gilead, he was appointed as Assistant Professor of Biostatistics and Bioinformatics and Assistant Professor in Medicine at Duke University School of Medicine. 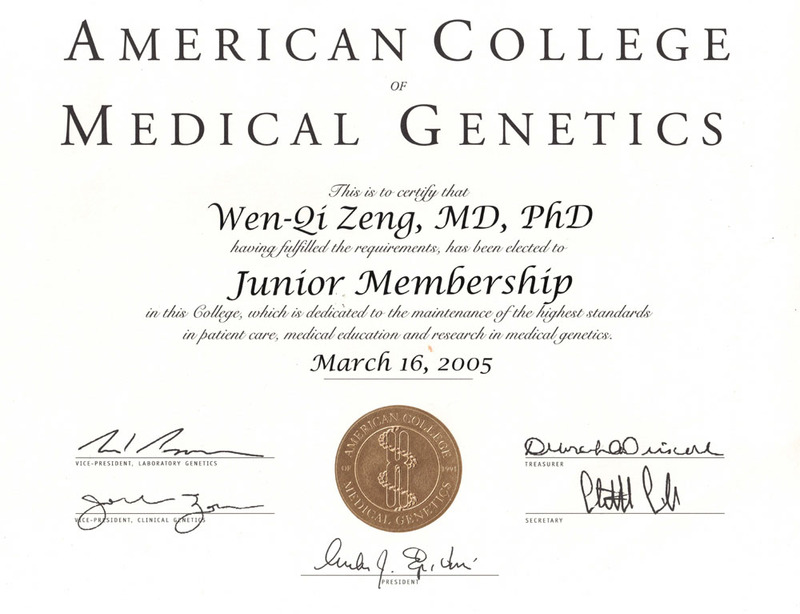 He received his Ph.D. of Biostatistics and Genetic Epidemiology in 2004 from Peking Union Medical College and Chinese Academy of Medical Sciences, among the most selective medical colleges in the People's Republic of China, located in Beijing. Dr. Ge's work in discovering the IL28B genetic variants associated with the clinical treatment responses, published in Nature in 2009, has received over 3000 times of citations to date. The invention was licensed to LabCorp and Quest Diagnostics, and has become clinical diagnostic services since then (LabCorp 480630 and Quest AccuType IL28). The U.S. FDA has cited this ground-breaking discovery in several of the agency's guidance for industry. 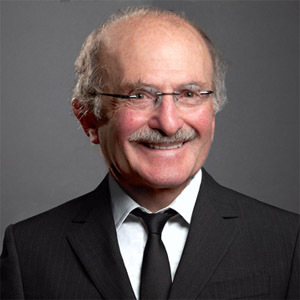 Dr. Ge has authored or co-authored over 70 peer-reviewed articles, among which are 5 articles in Nature and 1 in Science, in total receiving over 16,000 citations. Dr. Ge was named by the U.S. Genome Technology magazine as one of the "Rising Stars" in 2009, and by the U.K. Phacilitate as one of the "Top 50 Most Influential People in Big Data" in 2015. Dr. Ge is a U.S. Citizen through the federal "Outstanding Professors and Researchers". Dr. Zhang received his Ph.D. of Chemistry from Stanford University in 2015 and received his B.S. of Chemistry from Peking University in 2010. Dr. Zhang has won the gold medal of National Chemistry Olympiad of China in 2006. 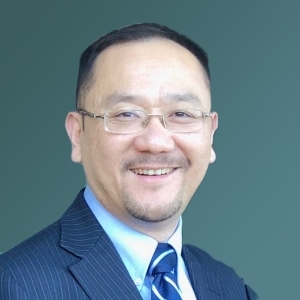 Dr. Zhang has 10 years of experience in nanotechnology and biotechnology research. He has made outstanding achievements in the field of fluorescence enhancing plasmonic gold nanomaterials, as well as nanomaterials with fluorescence emission in the near infrared region. Fluorescence technology plays critical role in modern biotechnology, especially in in vitro diagnostics and in vivo imaging. 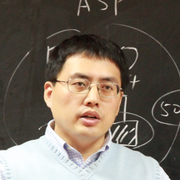 Dr. Zhang published over 30 original research papers on top research journals (such as Nature Medicine, Nature Materials, Nature Photonics, Nature Communications). Dr. Zhang's first author publication in Nature Medicine about his work on novel diagnostic tools for type 1 diabetes has attracted worldwide attention. Recently, Dr. Zhang has developed a nano platform for the sensitive and specific diagnosis of Zika virus infection. The work was also published on Nature Medicine with Dr. Zhang as the first and corresponding author, which delivered broad impact on the field of Zika diagnosis. 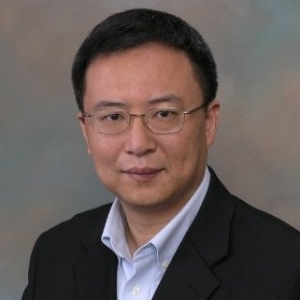 Dr. Zhang has served as principal investigator for research projects funded by the NIH, BioX, etc. 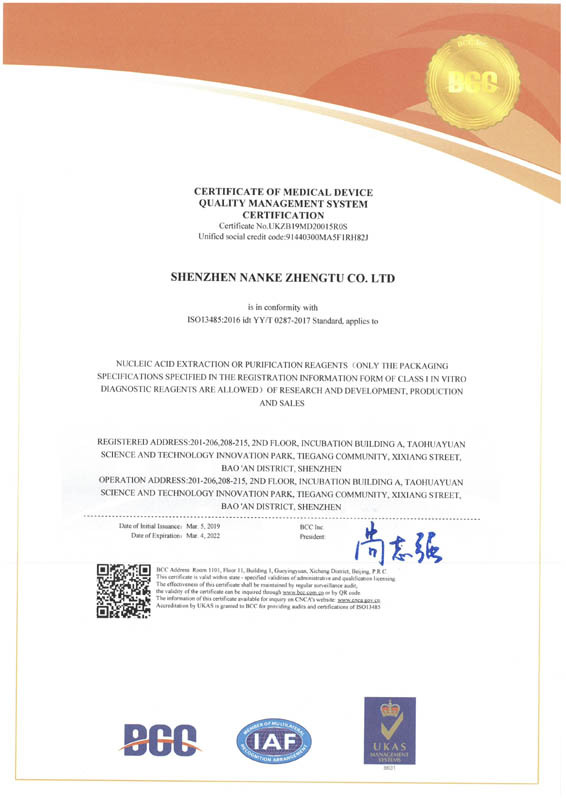 Dr. Zhang holds two international patents, two US patents and one Chines patent. 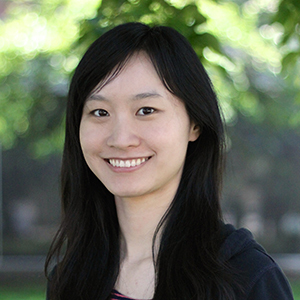 Dr. Zhang was the recipient of Materials Research Society Graduate Student Awards, Mona M. Burgess SIGF Fellow, William S. Johnson Fellowship, Fellowship for Chinese Student Study Abroad, etc. Forbes China named Dr. Zhang as one of the most brilliant young entrepreneurs under 30 in its annual "30 under 30" list of 2017. Dr. Guo was research scientist and research group lead at Gilead Sciences, Inc., a world leading biotechnology company specialized in hepatitis C and HIV medication. Dr. Guo was in charge of the clinical phylogenomic program for the clinical development of Sovaldi®, a world-leading anti-HCV drug. Dr. Guo received his Ph.D. in Computer Sciences from Duke University, M.S. in Informatics from Max Planck Institute of Germany and B.S. from Japan. 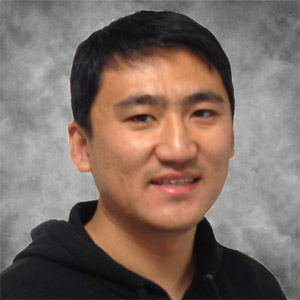 Dr. Guo has over 10 years of experience in the research and development of high performance computing, machine learning and artificial intelligence. 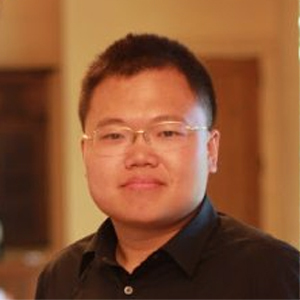 Dr. Guo has extensive experience in the product development of complex big data algorithms and databases, with applications in bioinformatics and genomic big data. He has led multiple publications in AI, including an influential first-author research article in PNAS. 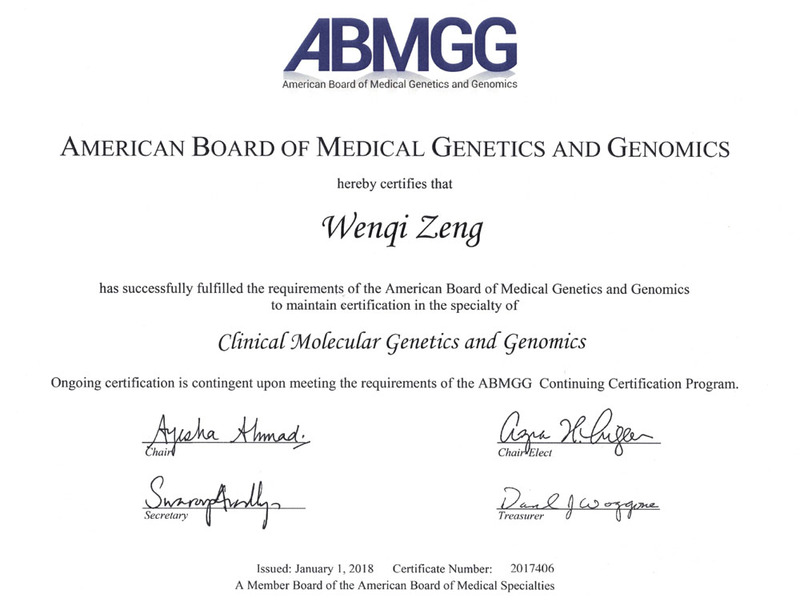 Dr. Zeng is Chief Medical Officer of Simcere Diagnostics Co. Before Apostle and Simcere, Dr. Zeng was Senior Director of Molecular Genetics at Quest Diagnostics and was Director of Clinical Genomics at Ambry Genetics. 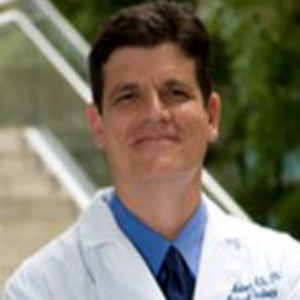 Prior to Ambry, he was co-Director of Clinical Molecular Genetics at City of Hope National Medical Center. 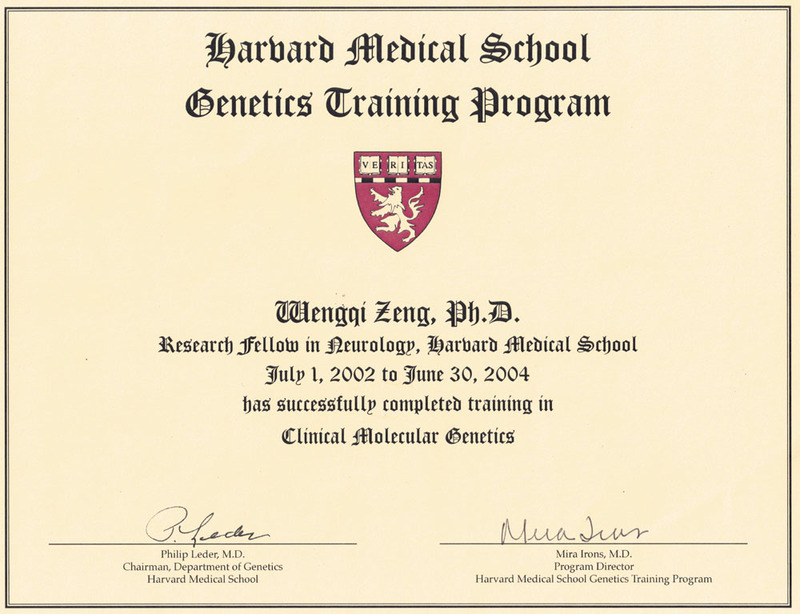 Dr. Zeng was fellow of Clinical Molecular Genetics and Human/Medical Genetics at Harvard University. He Received his M.D. from Xiang-Ya Medical School, Central South University in China and Ph.D. in Molecular Patholgy/Molecular Genetics from University of Otago. 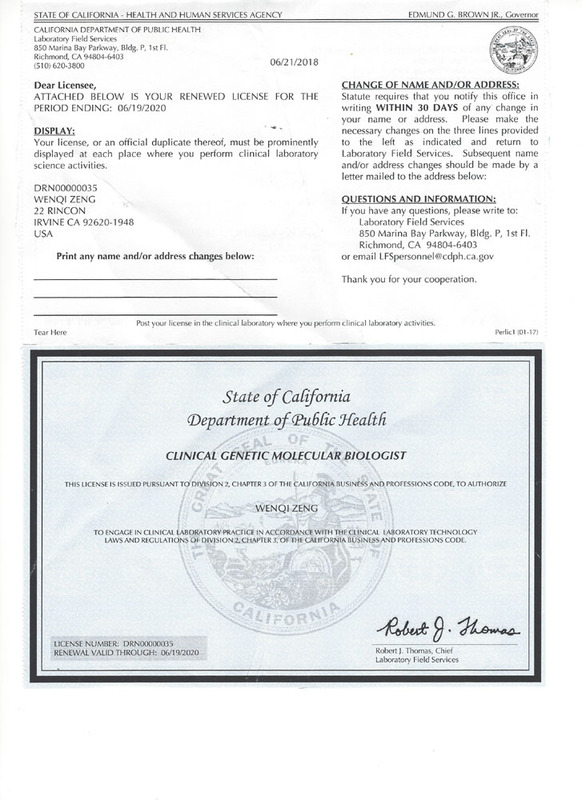 He holds Diploma of American Board of Medical Genetics and Genomics (ABMGG), and is a qualified CAP inspection team leader, and a qualified CAP CLIA lab director in CA, FL and MD. He also has New York state COQ in molecular genetics and molecular oncology. William Dai has more than 20 years of experience in corporate finance, mergers and acquisitions, and capital markets in both China and the U.S. He has held senior executive roles at major U.S. multinational companies. In those roles, William was responsible for overall execution and was held accountable to the highest ethical standards in his business dealings. He is well-respected among financial and investment circles, and is a recognized leader in the industry. 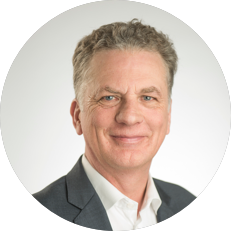 In addition, due to his hands-on experience leading multiple large international medical device companies, he has a very in-depth knowledge of the medical device industry and its market dynamics. 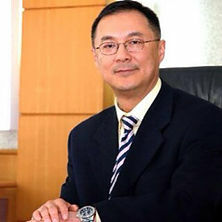 William Dai holds a master’s degree in business administration with an emphasis on finance from Michigan State University. Dr. Zhao received her Ph.D. in Biomedical Engineering from Ohio State University in 2016, M.S. from Cornell University, and B.S. from Zhejiang University in China. Dr. Zhao has over 5 years research experience in micro and nano scale biomaterials and their applications on regenerative medicine, cancer treatment, drug delivery and drug screening, with 19 co-authored peer-reviewed publications in top journals and one US patent. Dr. Zhao was also an HHMI Med into Grad scholar in Ross Heart Hospital and has industrial experience from Vertex Pharmaceuticals. 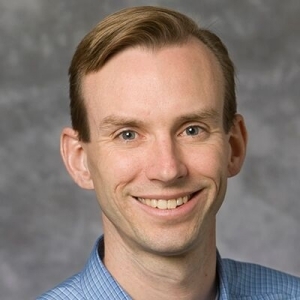 Dr. Joshua Robinson is an Innovation Leader at Clorox, a Fortune 500 Consumer Packaged Goods company. 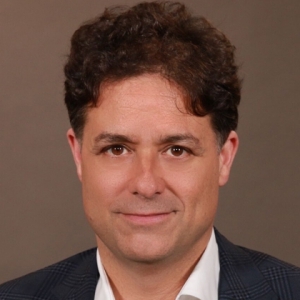 Prior to this, he was a founding team member and the Director of R&D at Nirmidas Biotech, Inc., a point-of-care diagnostic company spun out of Stanford University in 2013. Dr. Robinson helped Nirmidas begin operations out of QB3@953, a life science incubator space in San Francisco, as a Janssen Labs sponsored company. While at Nirmidas, he worked to secure $2 million in seed funding and $5 million in Series A funding, file multiple patents, and win an SBIR award. Before helping to found Nirmidas, Dr. Robinson was a senior application scientist at Beckman Coulter, Inc., focused on particle characterization devices. 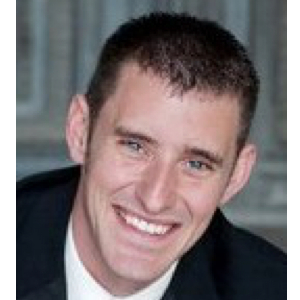 Josh holds a Ph.D. in physical chemistry from Stanford University working under Prof. Hongjie Dai. His graduate research, which focused developing biocompatible graphene and other nanomaterials for in vivo cancer diagnostics and therapy, helped establish the field of graphene medicine and resulted in over 2 dozen publications that have been cited over 12,000 times.